Joseph V. Burns, 91, of Framingham formerly of Newton, died Friday, June 8, 2018 following a lengthy illness. Born in Newton he was the son of the late Robert J. & Margaret (Drennan) Burns. Raised and educated in Newton, Joseph was a graduate of Our Lady’s High School, and went on to proudly serve his country in the Army during WWII. 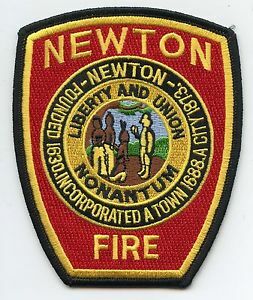 Upon his return he became a member of the Newton Fire Dept retiring after a 34 year career. He moved to Framingham in 1971. Always a hard worker, Joseph was very handy, and always working in the yard. He enjoyed playing golf and watching a good boxing match. Joseph was an avid Red Sox and Bruins fan. A dedicated family man especially to his wife, Dorothy E. (Condon) who survives him, his children, James O’Brien of Franklin, William O’Brien of Framingham, Jo-Anne Thomas of Framingham, and Kevin O’Brien of Framingham, his grandchildren, Erin Siems, Kimberly Florian, and Joseph Thomas, 6 great grandchildren, his siblings, Gael Burns and Nancy Lane, and many nieces and nephews. He was predeceased by 6 siblings. Family and friends will honor and remember Joe’s life at a later date to be announced.